When Will "Cleveland Rocks" Be True Again? Being from Cleveland isn't always easy. It feels like winter is longer than the other three seasons combined. Our sports teams are constantly in the bottom of the standings and haven't won a major championship in 50 years And at times it seems like no "mid-major" music act ever comes here anymore. Being fans of live music, we use concerts as our escape from the work week. Using a concert as a plan on a weekend night can often be cheaper than going out to the bar until last call. Especially if you can attend a smaller show with no more than a few hundred people at it at pay only 10 bucks to get in. However, recently it has felt that bands skip Cleveland on their tours, often opting for Columbus, Detroit and Pittsburgh. I understand having a major college campus in Columbus helps to guarantee an audience on a week night. I also get Detroit and Pittsburgh pulling in major and mid-major acts as they are also major cities with blue-collar foundations and love for rock music. Cleveland though, missed out on acts such as Kings of Leon, Vampire Weekend, Phoenix, Sleigh Bells and Franz Ferdinand (to note a few) on their recent tours over the last year. These bands have decided to book shows at the before mentioned cities over the last years instead of coming to Cleveland. We have had no choice but to drive the 2 hours to each of these locations because it. As true concert lovers, we will not let a band like The Postal Service be within a one-tank trip from where we live and not go see them. The venues in Cleveland are spread out throughout the city and range in sizes. 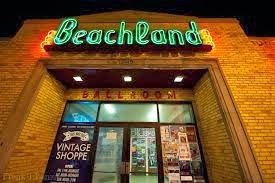 Beachland Ballroom, Grog Shop, Mahall's and House of Blues can pull in smaller sold out crowds, but its tough to get a bigger band to play these venues. House of Blues can pull some mainstream acts, but it has limitations and feels like its range of acts limits the amount of good rock bands that can be scheduled to play it. There is the Nautica Pavilion and Blossom in the spring and summer months, but as I mentioned its winter 11 months a year here. Nautica and Blossom can provide the appropriate forum for those acts between a Dr. Dog and a Justin Timberlake. A mid-major if you will. I saw the Avett Brothers at Nautica in August and it was the perfect setting for that size of a following. Obviously the major acts play Quicken Loans Arena, but the arena show experience is limited and often extremely overpriced. What does that leave us with in the winter? 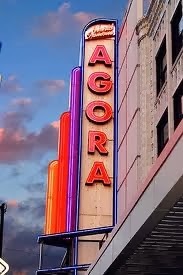 Years back we had the beautiful Agora Theater and Ballroom. What a place. I have way too many memories from shows in my high school years from the Agora. It provided the perfect concert setting for those middle level bands. However, since it closed a few years back and re-opened under new management it has not been the same. How I wish it was during the winter months. It would at least pull in 4-5 decent concerts a winter so I wouldn't have to drive to Newport Music Hall in Columbus for an 8pm show on a Tuesday. Cleveland.com had this article a few months back affirming Cleveland as a major tour market. For who though? Teenage girls and middle aged moms? Cleveland is supposed to be the epicenter of Rock and Roll. Home of the Rock and Roll Hall of Fame. Why can't we embrace that further and open up a few other decent mid-size music venues. 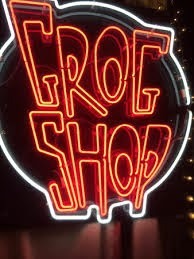 Lets get some decent venues in Tremont and Ohio City. Lets continue to grow the fledging music scene in Lakewood. We need a few more decent venues to get these bands to come to Cleveland. Columbus rebuilt their downtown area and built the LC Pavilion which is a beautiful outdoor/indoor venue that pulls in mid and major acts. Even creating a small music festival last year that was held on the property. There was so much press given to the revitalization of downtown. Why has live music been ignored? Cleveland is too great of a city to not have a more elaborate music scene. Its good, but it can be better if we could just get the bands to come here. I mean why wouldn't you want to come here? Its winter year round.